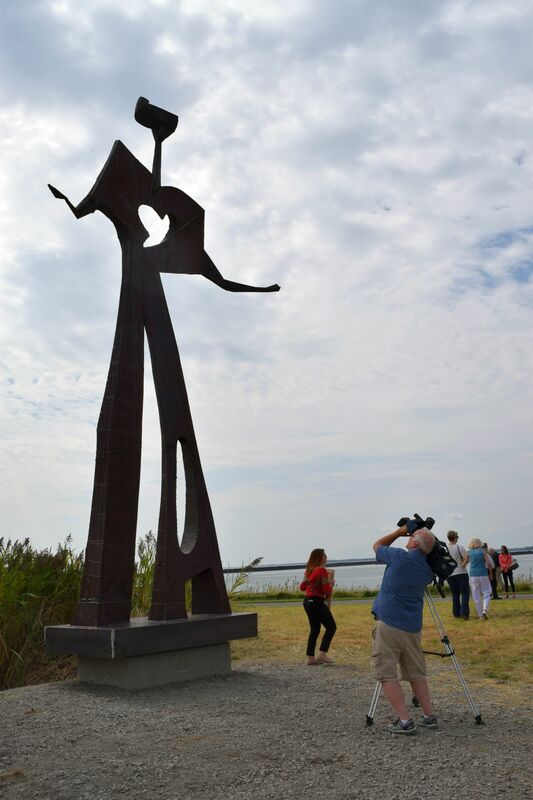 Today marked the official unveiling of the 20-foot tall Larry Griffis, Jr. sculpture “Flat Man” at Outer Harbor Buffalo. 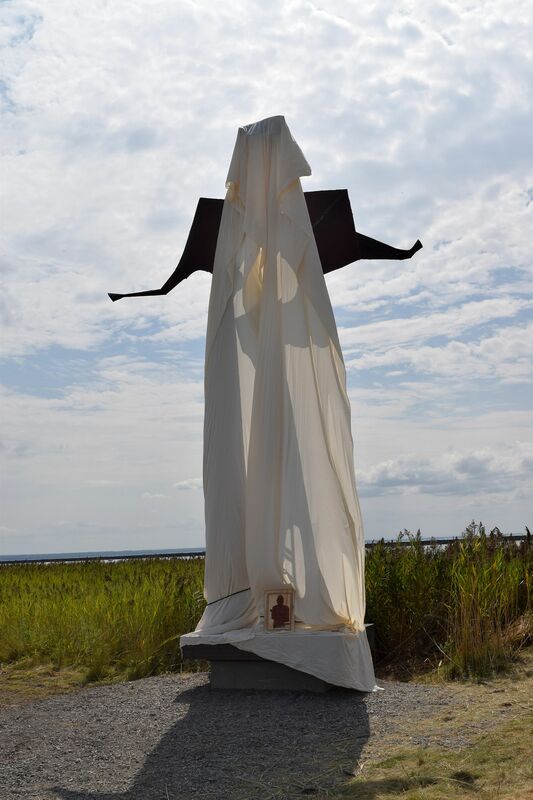 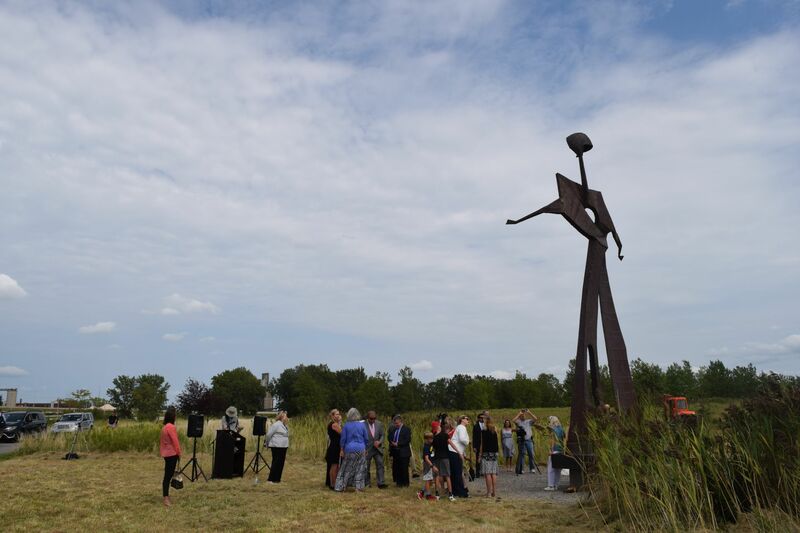 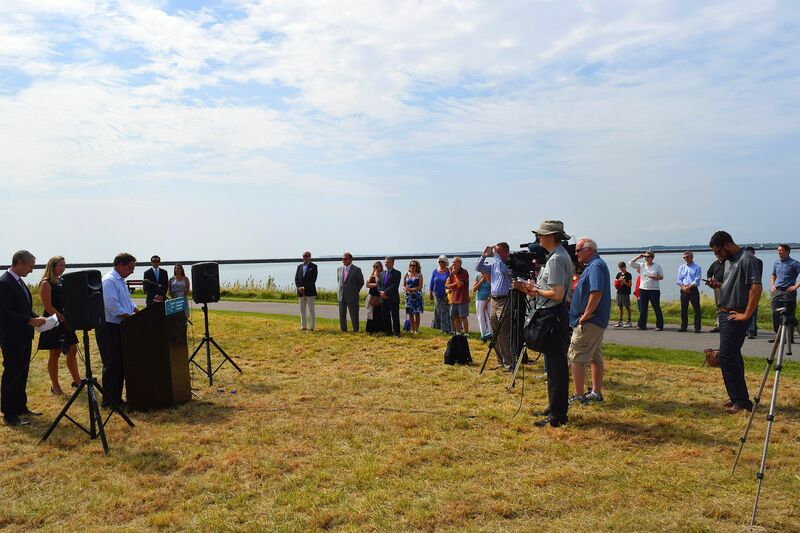 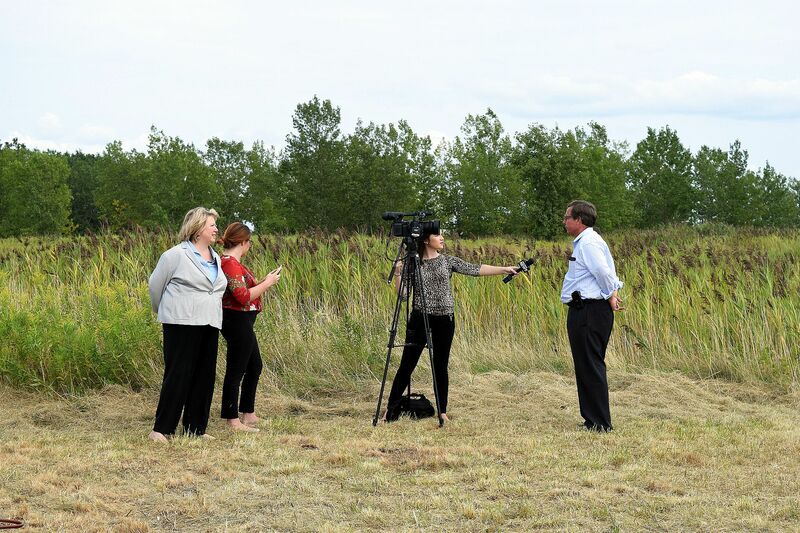 The ceremony signaled a seven-month process of picking a site at the outer harbor, taking the sculpture out of Griffis Sculpture Park, repair the sculpture at Essex Arts Center, and finally installed at Outer Harbor Buffalo. 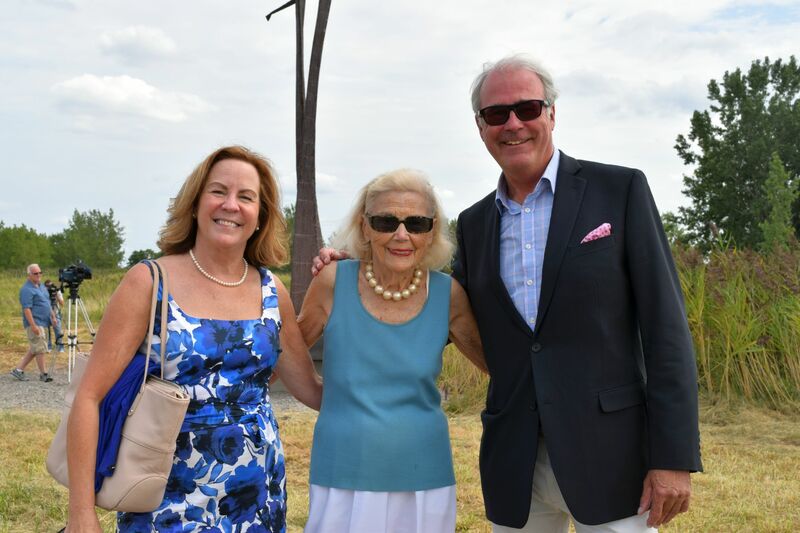 It was a wonderful day for the Ashford Hollow Foundation, Outer Harbor Buffalo, the Griffis Family and the entire Western New York community as a whole. 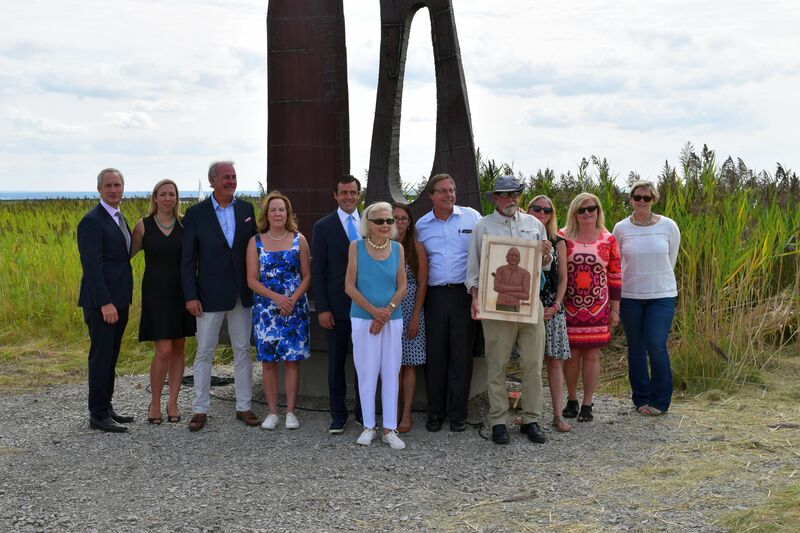 The unveiling of “Flat Man” at Outer Harbor Buffalo. 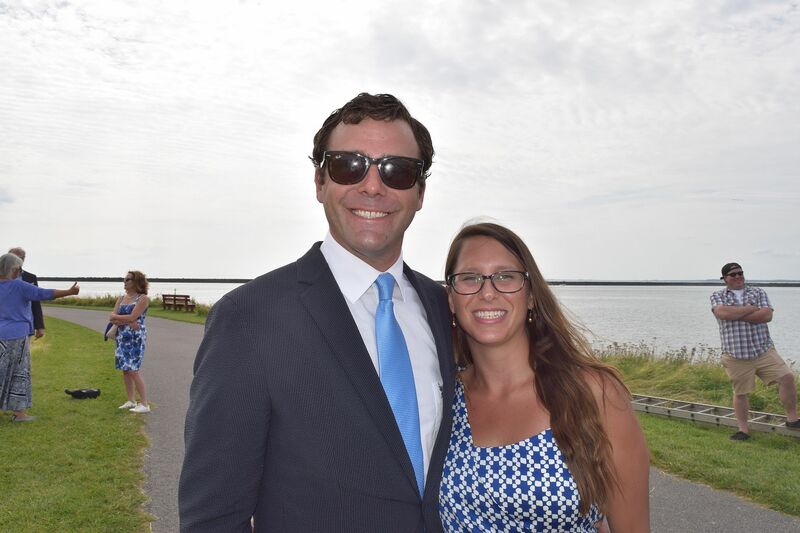 Members of the Griffis family onhand. 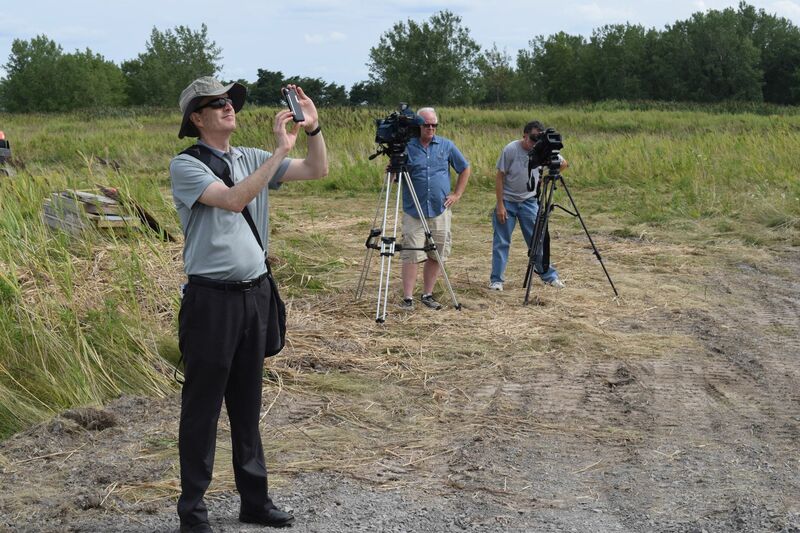 Media taking some of the first images of “Flat Man” at Outer Harbor Buffalo. 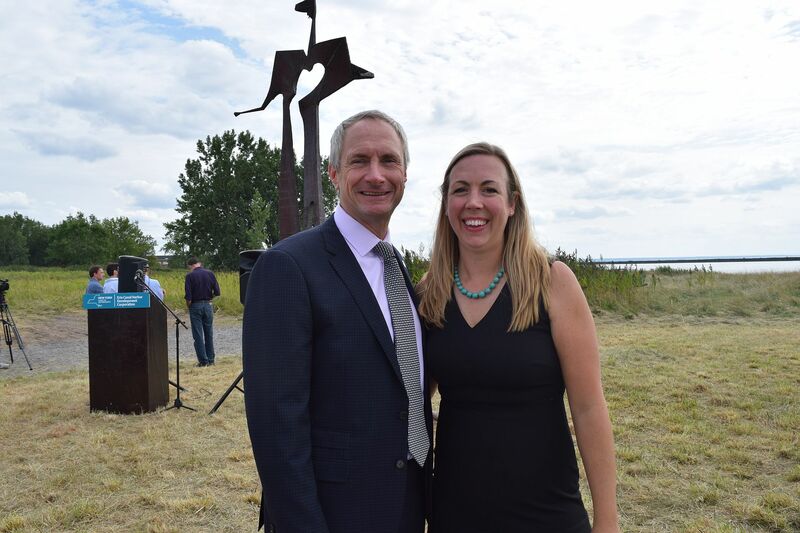 Assemblyman Sean Ryan and Nila Griffis, Executive Director of Ashford Hollow Foundation. 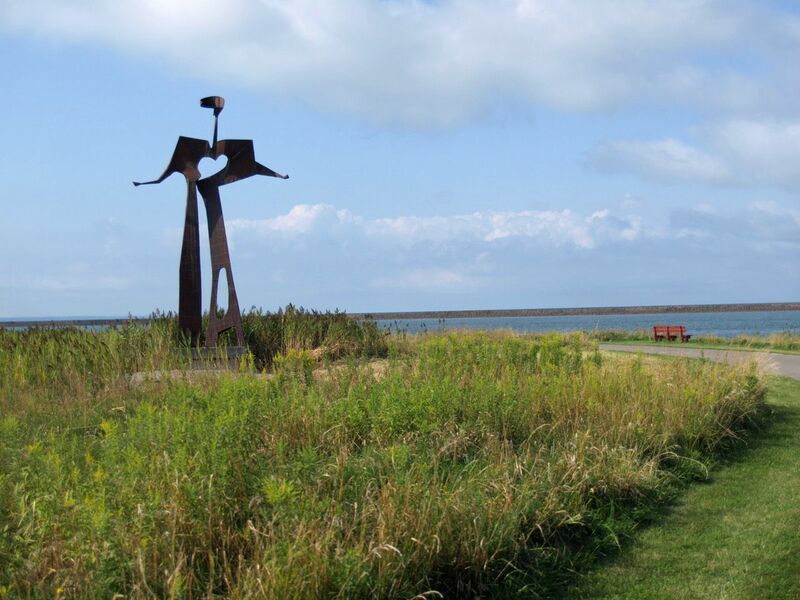 “Flat Man” makes his home for the next five years at Outer Harbor Buffalo.